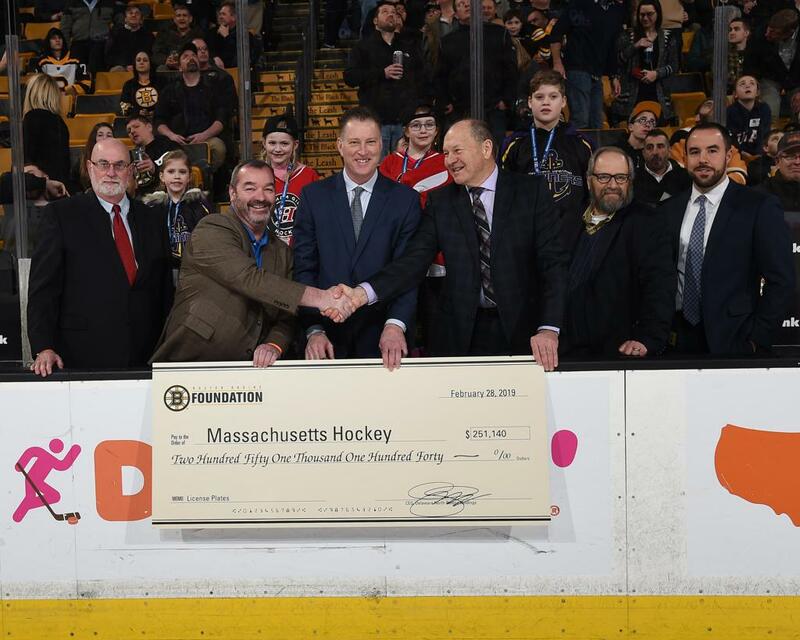 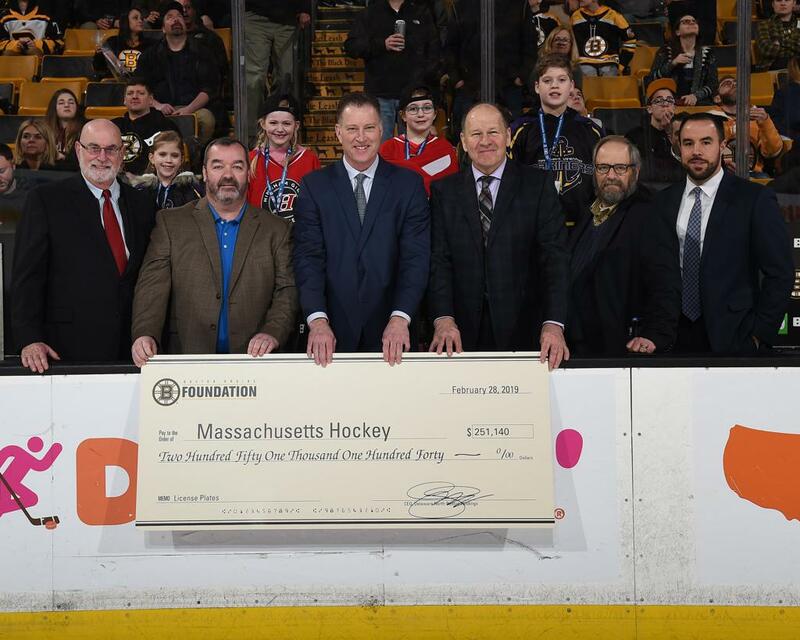 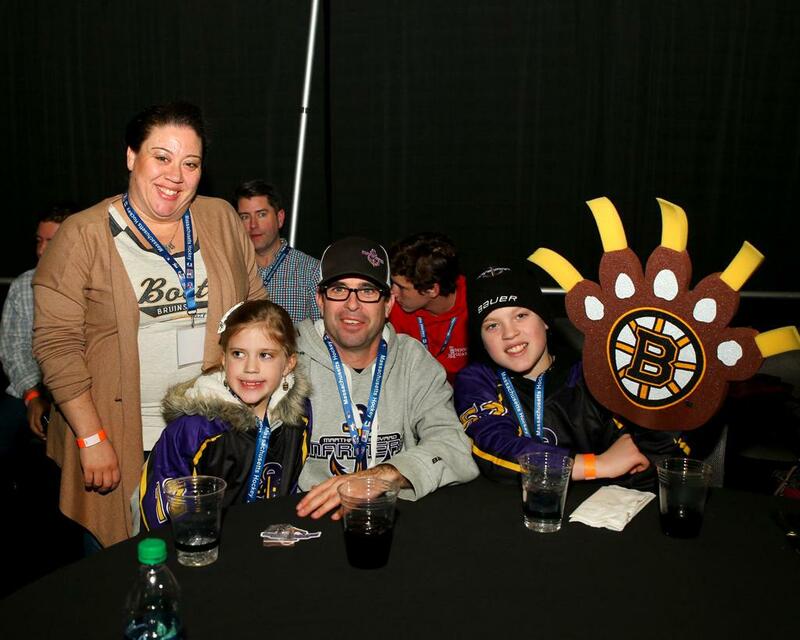 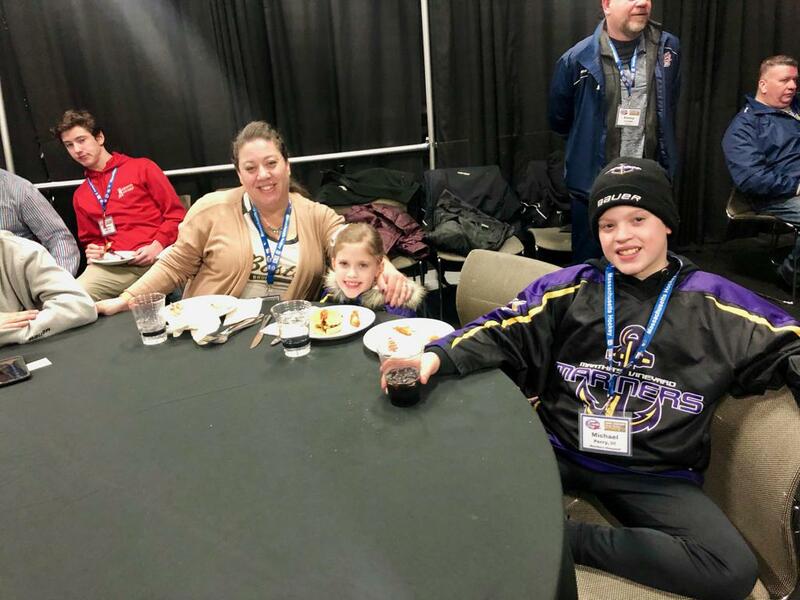 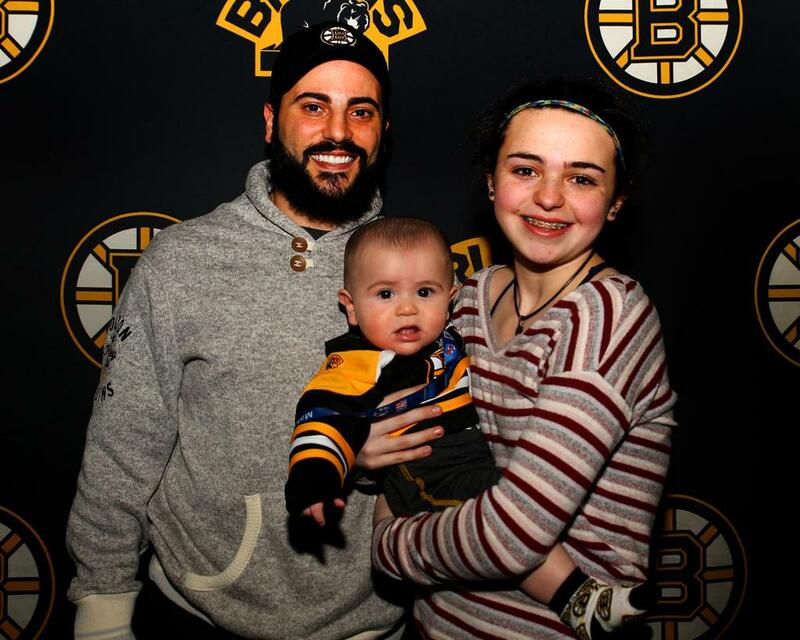 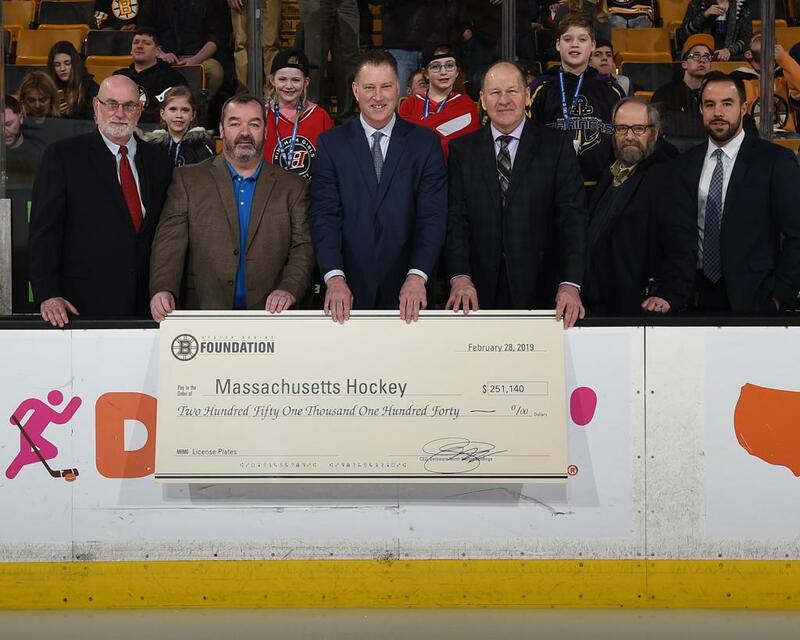 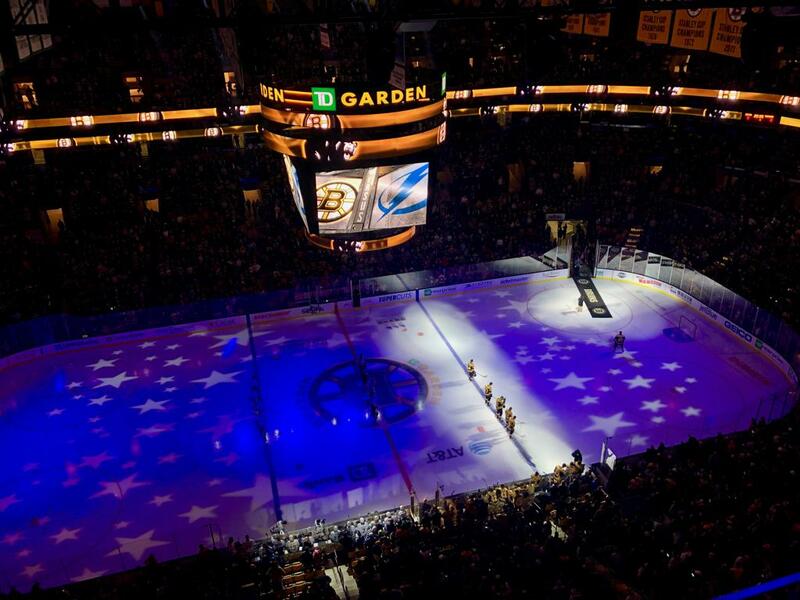 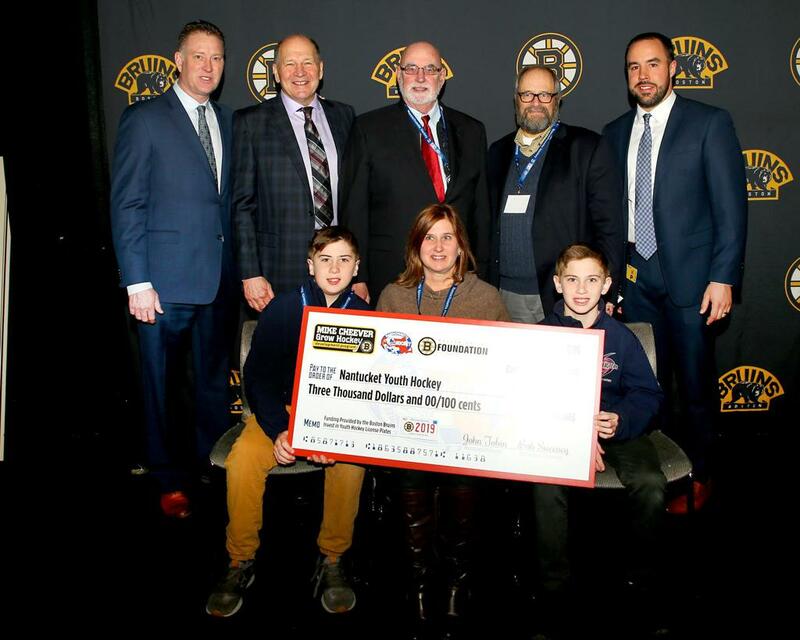 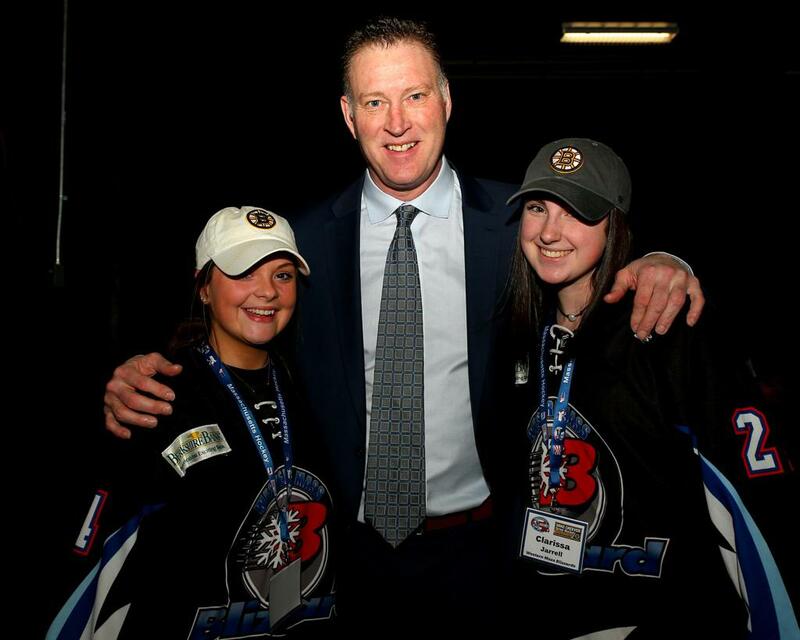 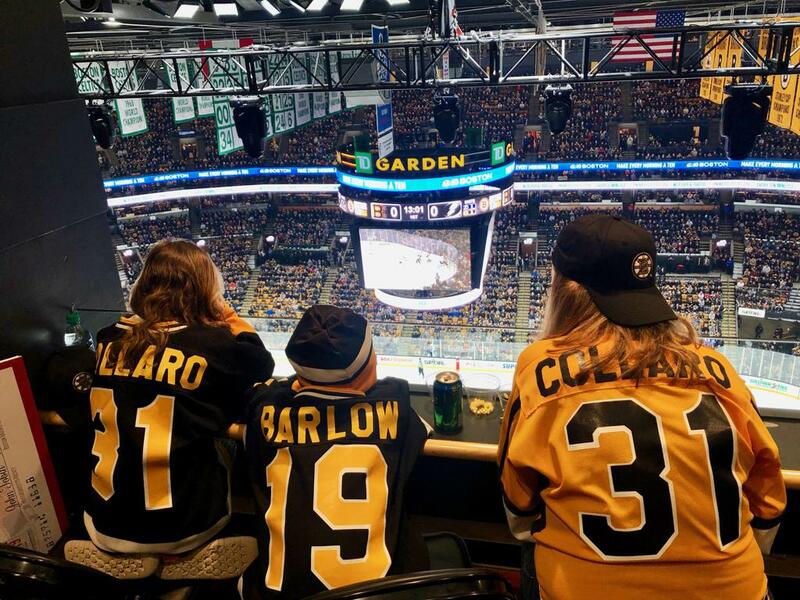 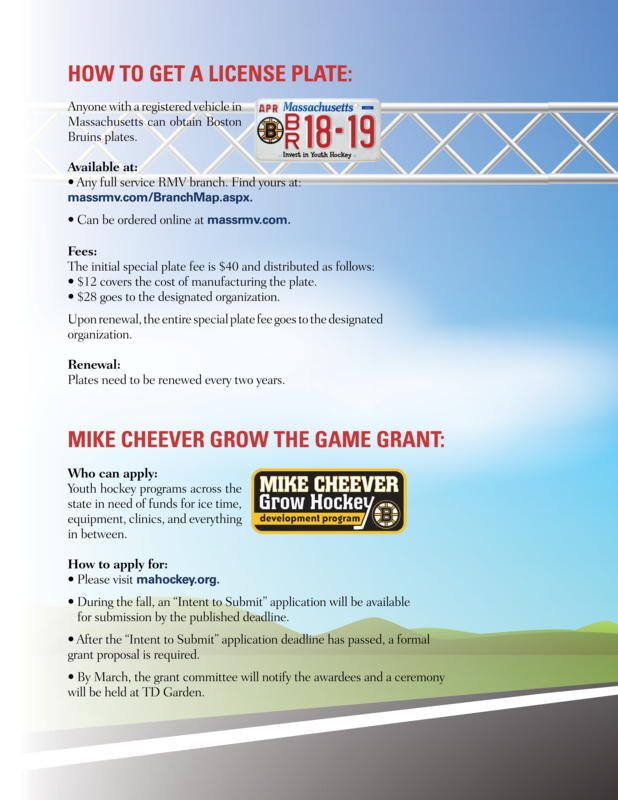 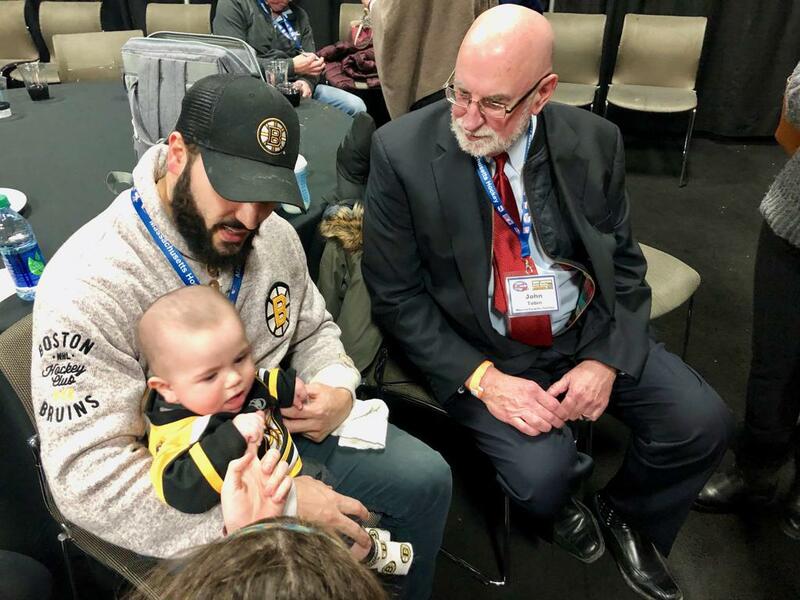 During the Boston Bruins 4-1 win over Tampa Bay at TD Garden on February 28th, Massachusetts Hockey hosted local youth hockey associations who were being honored with Cheever Award Grants this season. 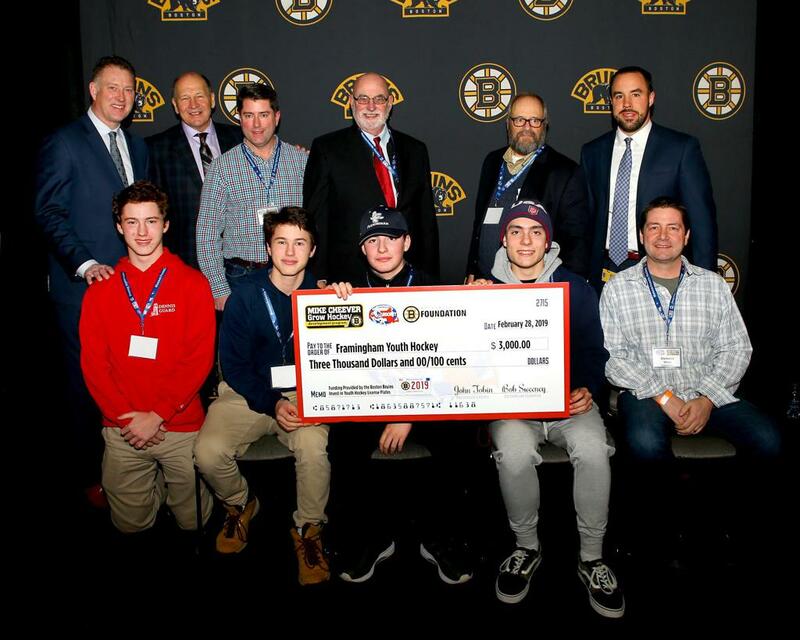 The Boston Bruins Invest in Youth License Plates revenue has raised over $2,811,411 since 2003, including the $251,140 from this past year. 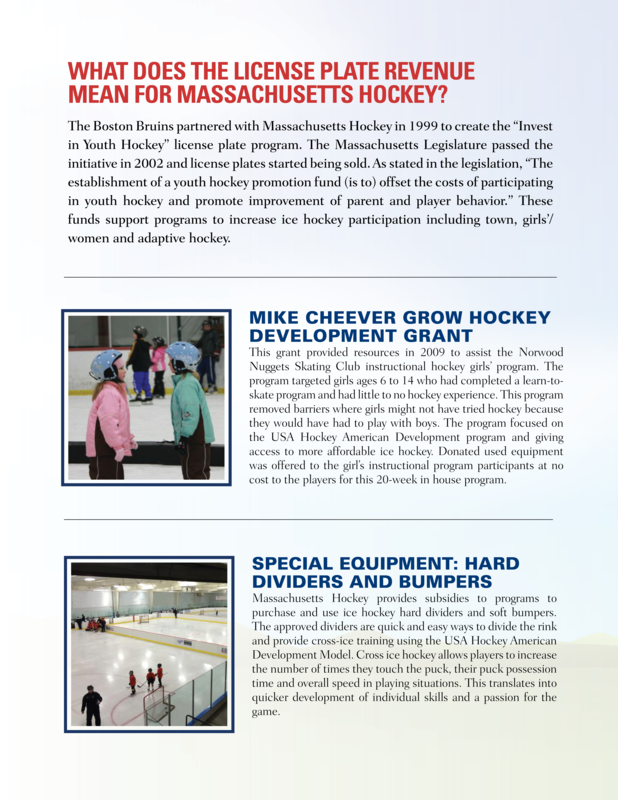 All of these funds are given to Massachusetts Hockey to invest in growing the game across the state. 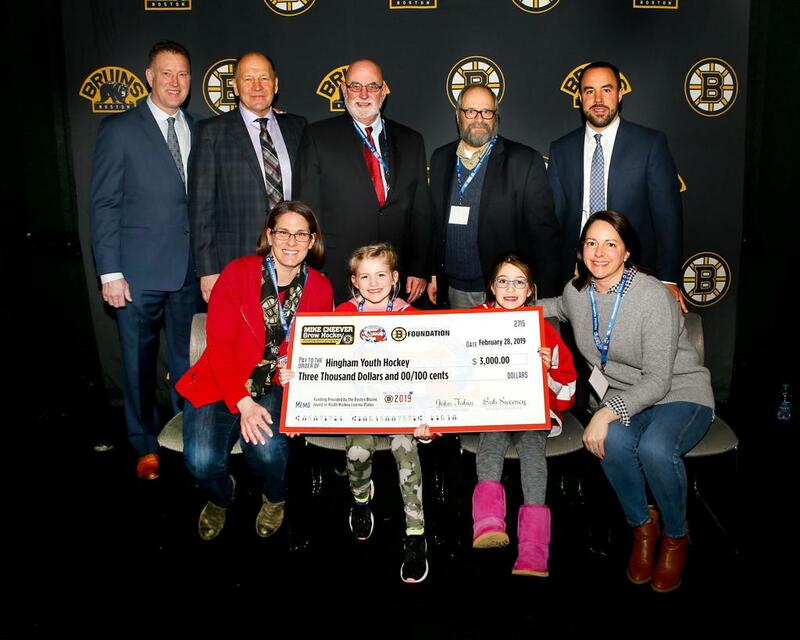 Massachusetts Hockey alongside the Boston Bruins Foundation were proud to present grants to 11 different associations. 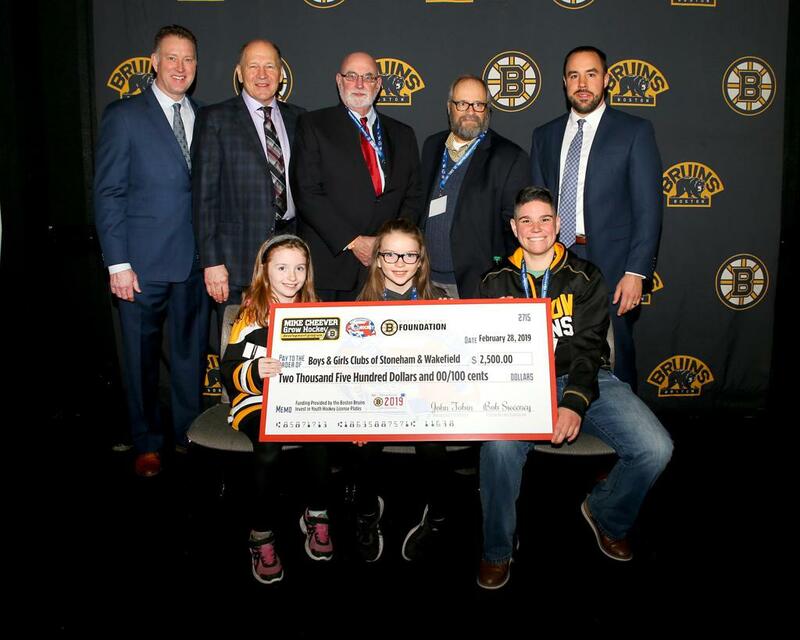 Boys & Girls Club of Stoneham & Wakefield, who will expand and continue their floor hockey program for children with special needs, especially for those who normally wouldn’t have the opportunity to be exposed to learning about hockey. 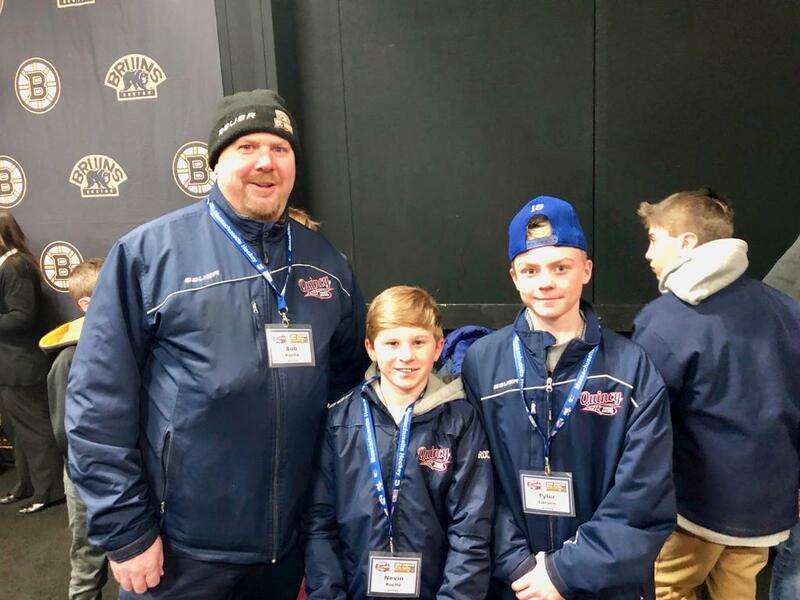 Charlestown Youth Hockey Association, who will be expanding their development program by creating opportunities for kids who are being introduced or interested in being reintroduced to the game at a later age. 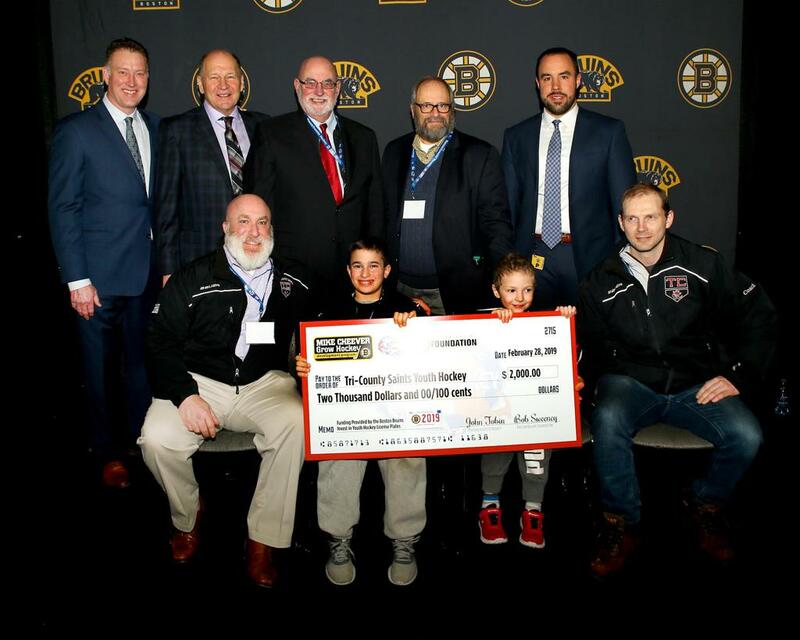 Mass Hockey President John Tobin, MH Executive Director Kevin Kavanagh, Boston Bruins Foundation President Bob Sweeney, Bruins Ambassador Tommy Songin, MH Treasurer Greg Sophis and Bruins Director of Youth Hockey and Fan Development Mike Dargin. 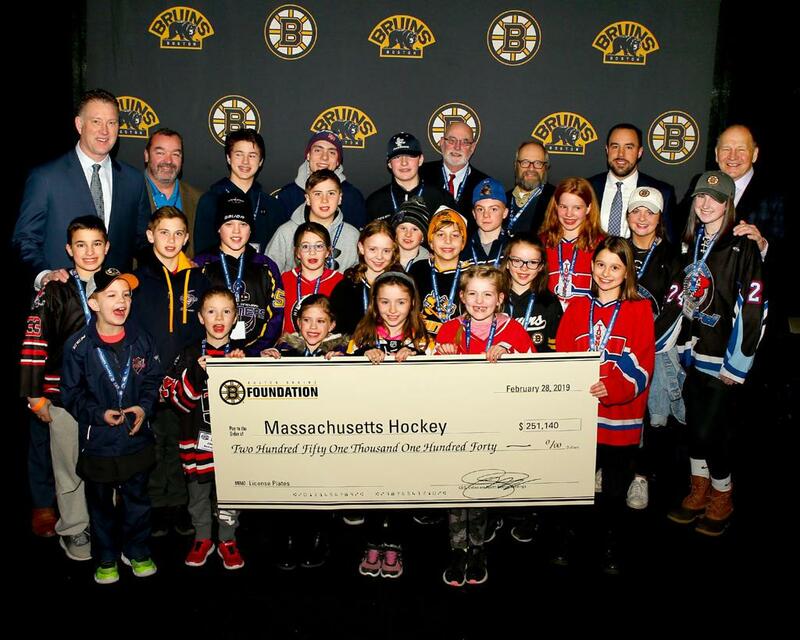 Framingham Youth Hockey, who will be using the funding to increase ice time for Saturday night 3v3 ice hockey and make it available to players of all ages and abilities. 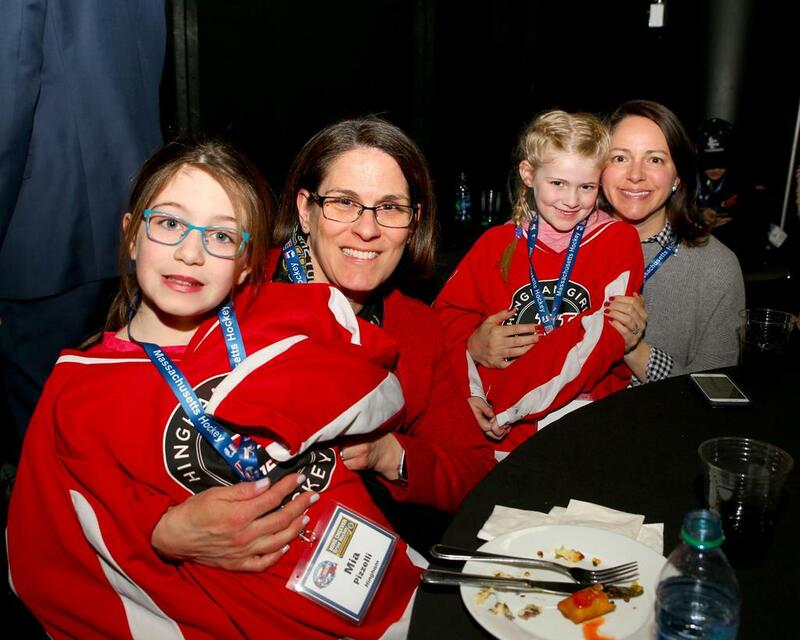 Hingham Girls/Women Hockey, who will be using the funding to expand their Women’s Learn to Play Hockey, including the mothers of the current youth players. 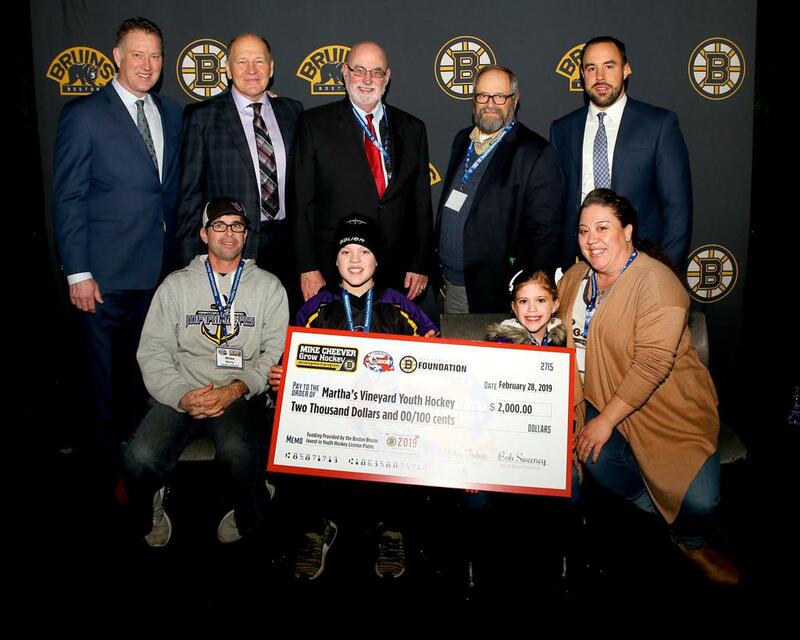 Martha’s Vineyard, who will be using the grant to provide funding for the purchasing of loaner equipment for the Learn to Play Hockey program. 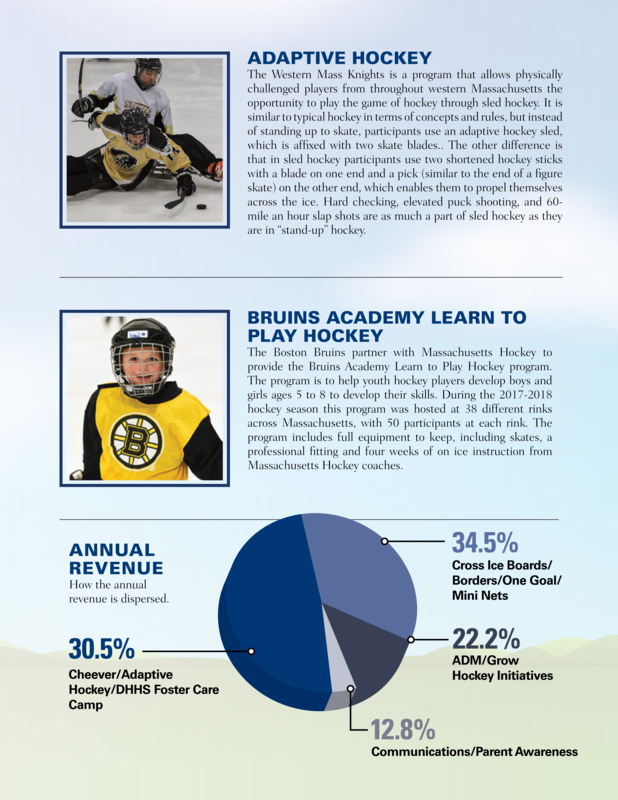 Nantucket Youth Hockey, who will use the grant to expand the in-house program for players who are over the age of 8. 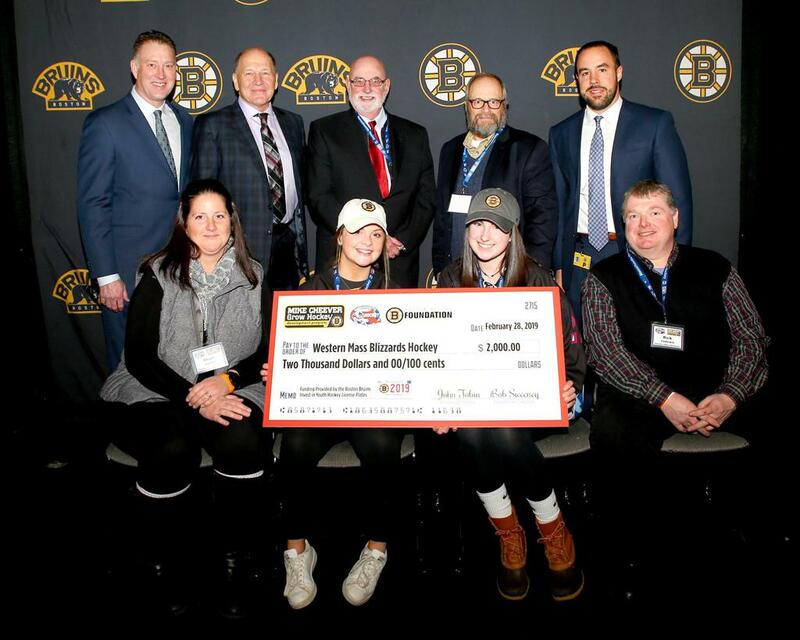 North Central Mass Youth Hockey, who will use this grant to expand the female participation in their program including clinics and scrimmages. 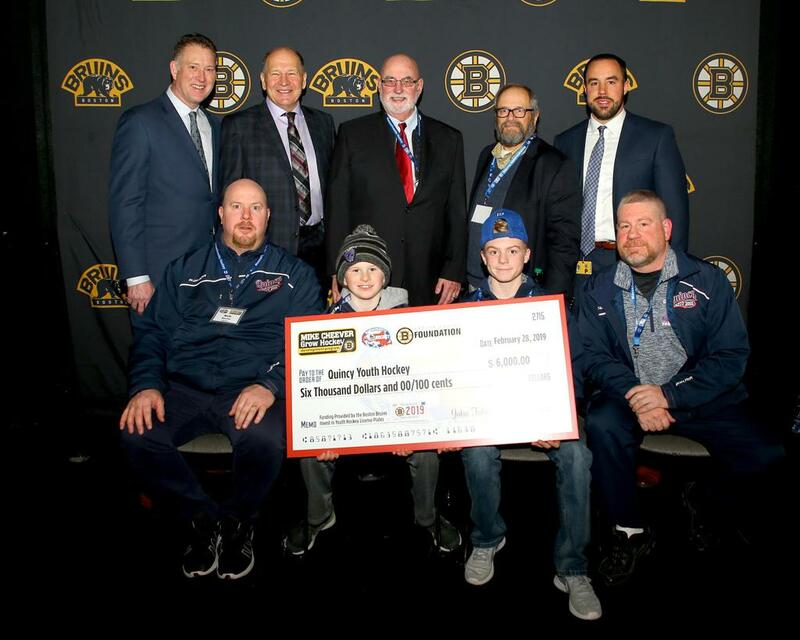 Quincy Youth Hockey, who will use this grant toll provide equipment from head to toe for players who have completed the Learn to Skate program and are interested in moving on to the Learn to Play Hockey program. 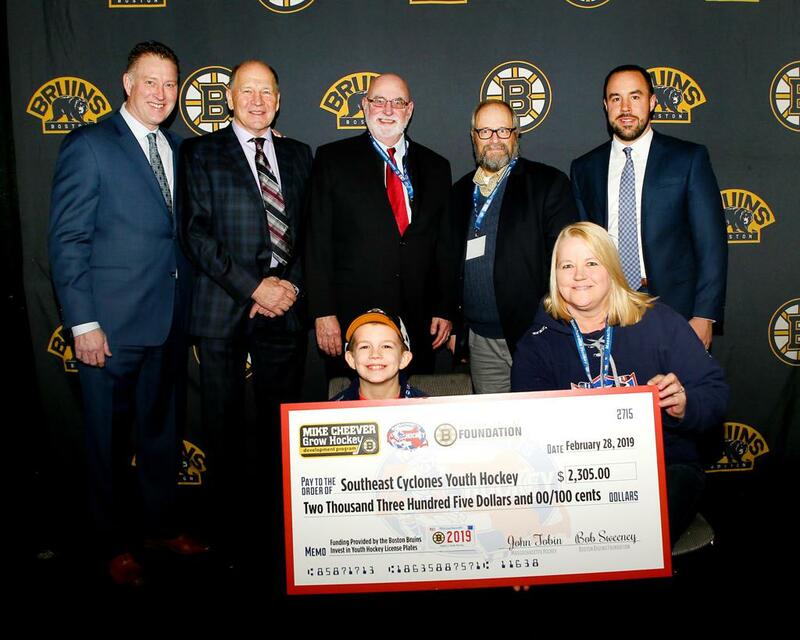 Southeast Cyclones, who will use this grant to provide equipment from head to toe for players who have completed the Learn to Skate program and are interested in moving on to the Learn to Play Hockey program. 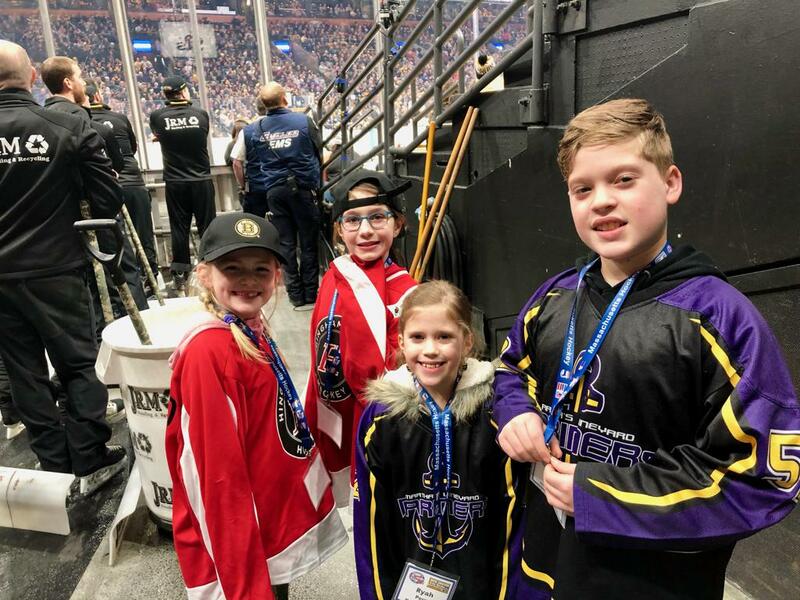 Tri-County Saints, who will be using the grant to help expand a best practices operating structure to use online under the Hockey Director leadership role. 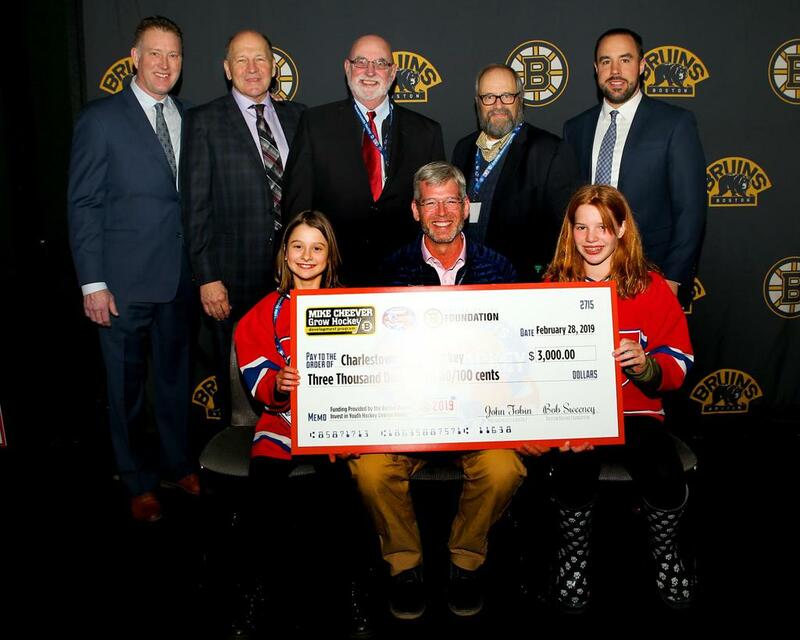 Western Mass Blizzards, who will be using the grant to expand the girls only hockey options in Western Massachusetts. 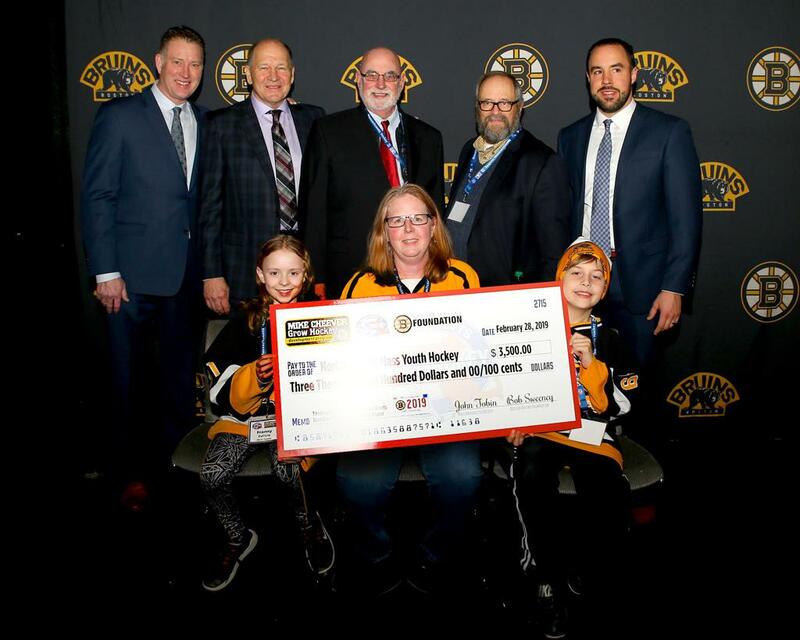 “There is no other way more fitting to honor my father than to name this growth initiative program after him, and without the support and contribution of the Boston Bruins, none of this could be possible. 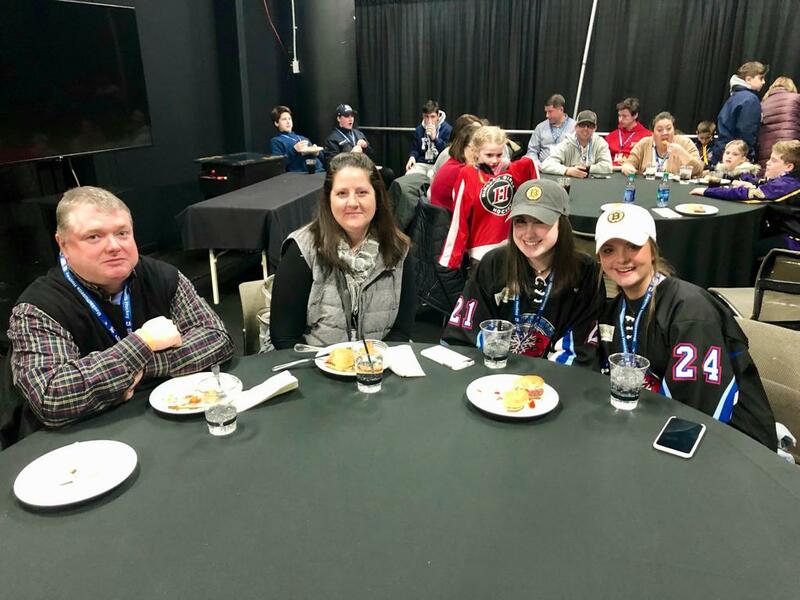 It did not matter what the level of talent, my Dad, just looked to give every kid the opportunity to play and made sure they had fun doing it,” said daughter of Mike Cheever and former grant committee chairperson Ellie Cheever. 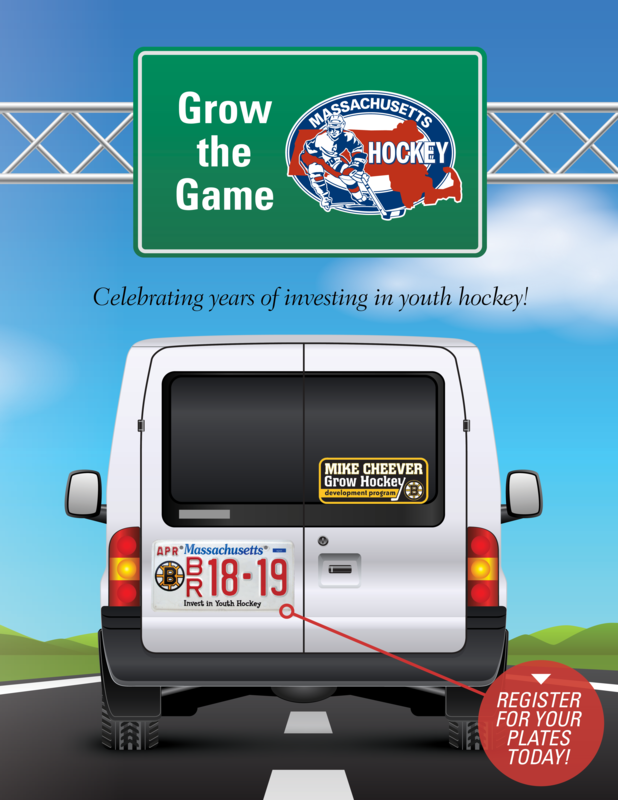 You can purchase your Boston Bruins "Invest in Youth Hockey" license plate at all full-service Registry branches or online by clicking here.